“Kurds were the sore losers of last century, but this century will be ours,” a senior Iraqi Kurdish politician once remarked on a flight between Istanbul and Ankara. Sure enough, Iraqi Kurds have benefited from the U.S. invasion in Iraq by establishing a successful self-governing entity and are well on their way to possible full independence. But inside Turkey, Kurdish dreams are set back by a bitter and bloody war between the state and the outlawed Kurdistan Workers’ Party, or PKK. The conflict resurfaced last summer following the breakdown of peace talks that had been going on for several years. The PKK has struggled against Turkey off and on since 1984, but this new wave of violence is very different for two reasons. First, unlike the fighting that took place in the 1990s, today’s fighting has centered in densely populated urban areas, affecting more than 1 million people and sowing seeds of mistrust between Turkish and Kurdish communities across the nation. In the past, the PKK typically skirmished with the Turkish military in the countryside or raided remote military outposts in the regions bordering Iraq. But in the past six months, local Kurdish officials have declared self-rule in the southeastern towns of Cizre, Silopi, and Idil, as well as the Sur district of Diyarbakır. PKK-affiliated youth militias flanked these declarations of autonomy by setting up roadblocks, digging trenches, and creating so-called liberated zones in majority-Kurdish cities in the Southeast. The PKK’s new strategy has invoked a harsh military response from the Turkish government. Absolute curfews—in which the population is not permitted to leave their homes at any time for any reason—have been strictly enforced in restive areas, sometimes for weeks at a time. Needless to say, these lockdowns have seriously disrupted the local population, halting all economic activity, preventing medical care, and leading 355,000 Turkish citizens to leave their homes in affected areas. Nevertheless, many people in this area do not have substantial financial resources, leaving them no choice but to remain, or prefer to stay close to their homes. The Turkish military and special operations teams from the police and gendarmerie have effectively besieged these towns, using tanks, artillery, and high-end military gear to try and quell the rebellion. Despite the Turkish military’s superior firepower and technology, it has been unable to fully stamp out the resistance; the fighting continues to claim lives and, in the absence of any political dialogue, is showing no signs of abating. The second reason why the renewed fighting is different from previous rounds—and more dangerous—has to do with its direct connection to the Syrian civil war. With immense destruction and close to 1,000 deaths, the images coming out of southeastern Turkey have an unsettling similarity to the early photos from the Syrian war. But the connection is not just visual; in many ways, Turkey’s current war is a spillover effect of the Syrian conflict. Kurdish gains in northern Syria over the past year have been a primary source of motivation for the PKK, and Turkey sees them as an existential threat. Both Turkish and Kurdish officials regard the fighting inside Turkey as a tactical front in a wider strategic conflict that includes northern Syria, and vice versa. Similar to the way in which Iraqi Kurds used the weakening of Saddam Hussein’s central government during the 1991 Gulf War to assert a degree of autonomy, Syrian Kurds stand to benefit from the weakening of the central regime in Damascus. The Syrian Kurds—under the banner of the Democratic Union Party, or PYD—quickly established self-governing cantons in Kurdish-dominated parts of Syria as President Bashar al-Assad’s forces withdrew to areas they could more easily defend from rebel groups. Had Ankara been more willing to accept a Kurdish entity in Syria, perhaps the escalation inside Turkey and the breakdown of the peace process would not have happened. But Ankara viewed the rapid expansion of Syrian Kurdish territory with suspicion due to the Syrian Kurds’ connections to Turkey’s own Kurdish movement. The Syrian Kurds’ success fighting the Islamic State garnered international support, further raising Turkish fears of eventual formal recognition, the establishment of a Kurdish ministate to the south, and the breakup of Syria. Eventually, as Kurdish control spread across Turkey’s southern border and international sympathy for the Kurds grew, Turkey came to see the emerging Kurdish enclave not as a nuisance but a major security threat. Although ideologically affiliated with the PKK, the PYD and its militia force—the People’s Protection Units, or YPG—received global attention and, eventually, military support from the United States. In particular, their epic defense of the Kurdish town of Kobani from the Islamic State in late 2014 brought them international acclaim. Since then, the burgeoning military alliance between the YPG and the United States has made the group the most effective ground force fighting the Islamic State in Syria. With the aid of American and, lately, Russian airpower, the Syrian Kurds have swept through northern Syria over the past year, gaining territory from the Islamic State and effectively forming a Kurdish buffer zone along the border with Turkey. These gains have unearthed long-standing Turkish fears of a Kurdish state forming along its border. This fear was a key feature of Turkish policy against Iraqi Kurds in the 1990s and has now been extended toward Syrian Kurds. Fundamentally, Ankara fears that Syrian Kurdish autonomy—and Iraqi Kurdish autonomy before that—could embolden Turkey’s Kurds to demand autonomy themselves. These fears played an undeniable role in the breakdown in the peace negotiations between the government and imprisoned PKK leader Abdullah Öcalan. But fear is not the only reason for the collapse of Turkish-Kurdish peace efforts. Turkey’s volatile electoral cycles and the ideological rift between Turkey’s conservative Islamist ruling party—the Justice and Development Party, or AKP—and the leftist Kurdish movements in Syria and Turkey—both inspired by the teachings of Öcalan—also undermined the negotiations. The PKK and the PYD have developed a template for a multiethnic, decentralized form of governance with a strong emphasis on diversity, socialism, and gender equality—albeit dictated by an armed movement. These principles happen to be at odds with the AKP’s conservative leanings, which overall allow for an independent expression of Kurdish identity but emphasize Islamic solidarity and the indisputable supremacy of Turkish President Recep Tayyip Erdoğan as a leader. Inside Turkey, a similar vision for a diverse left-wing coalition was formulated by the young leader of the pro-Kurdish Peoples’ Democratic Party, or HDP, Selahattin Demirtaş, whose successful campaign against the AKP in the June 2015 parliamentary elections denied the ruling party the majority it needed to form a single-party government. Throughout the campaign, Demirtaş criticized President Erdoğan and his efforts to push for a constitutional reform with sweeping powers for the presidency. The attack on Erdoğan seemed to resonate: Demirtaş received 6 million votes and considerable support from the secular Turkish elite and the media. Thus, for a brief moment, a 42-year-old Kurdish human rights lawyer stood as the strongest voice of opposition against the AKP’s brand of conservatism and President Erdoğan’s authoritarian tendencies. But all that came to a halt with the resumption of hostilities with the PKK and Erdoğan’s call for new elections in November 2015. In an atmosphere of rising nationalism, conflict, and harsh limits on the media, the HDP lost its allure, barely passing the 10 percent national threshold to enter the parliament in the rerun November elections. The center of gravity within the Kurdish movement has since swung, tragically, from the HDP to the PKK—and from civilian politics to the harsh realities of an armed struggle. Within months, Turkey has become dangerously polarized along ethnic lines, fully immersed in a war in southeastern Turkey and paralyzed by the Syrian conflict. Before its collapse, one of the major shortcomings of the peace process was its lack of formalized—and publicly declared—arbitration structures and the absence of an independent third-party mediator to resolve disputes. This meant that mediation efforts were susceptible to the whims of Turkish politics and the highly personalized style of President Erdoğan. Both the Turkish intelligence officials running the negotiations for the state and the HDP delegation—which regularly visited imprisoned PKK leader Öcalan and acted as a go-between with the PKK leadership in the Qandil Mountains in Iraqi Kurdistan—negotiated in good faith. However, the process itself involved too many arbitrary decisions regarding day-to-day politics. Because no formal structures were built and negotiations were kept secret, both Erdoğan and the PKK had a convenient component of deniability if the political risks grew too great. Still, the peace process in Turkey created a hitherto unseen atmosphere of dialogue, accountability, and reconciliation while it lasted, along with solid economic and human development gains in the then-peaceful Southeast. Unfortunately, this success gave rise to greater expectations on both sides, making the ultimate failure of the peace talks that much more divisive, bitter, and disappointing. Today, Turkey is at crossroads in terms of its regional direction. Will it define itself as a moderate Islamist democracy or an illiberal Sunni regime? Turkey’s relationship with its Kurdish minority is central to this larger question. Ankara must define the exact nature of its relationship with the Kurds, and there is no longer a simple national solution to a transnational question. As high-level international efforts to secure a ceasefire in Syria continue, Turkey continues to shell PYD positions in Syria and bomb PKK positions in Iraq. Meanwhile, U.S. warplanes taking off from Turkey’s Incirlik Air Base are helping the PYD advance against the Islamic State, while Russian aerial support seems to encourage the Syrian Kurds toward confrontation with Turkey and the Syrian rebel groups it backs. Although there are complaints within the ruling AKP about Ankara’s Kurdish policy in Syria, much of the internal debate is subdued in an atmosphere of heightened nationalism. Critics are afraid to speak out against President Erdoğan for fear of losing their jobs or other punishments. 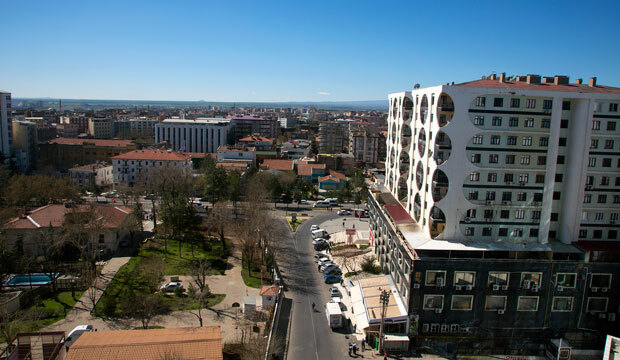 Turkey remains very far from a breakthrough or reconciliation on the Kurdish issue, and on a recent visit to Diyarbakır, both Turkish and Kurdish officials expressed fear that the fighting would intensify in the short term, especially with the arrival of spring. The Kurdish issue remains a point of contention, not just for Turkey but also for other regional actors such as Iran, Iraq, and Syria. For its turn and to prevent damage to its relationship with Turkey, Washington has sought to compartmentalize between the PYD and the PKK, defending its alliance with the PYD in the fight against the Islamic State while condemning the PKK as a terrorist organization. But this highly unstable formula may not be sustainable if there is a further escalation in violence or acts of terrorism by the PKK inside Turkey. Two consecutive bombings in Ankara by the Kurdistan Freedom Hawks, or TAK—an offshoot of the PKK—have already led to a considerable strain in ties between Ankara and Washington. Turkish President Erdoğan has stepped up his nationalist rhetoric, as well as criticism of United States and Europe, since the attacks, asking Washington to decide in February whether it was “friends with Turkey or the PYD.” With such high tensions and frustrations over PYD advances in Syria, it is difficult to see Turkey wanting to do the lion’s share in the fight against the Islamic State in Syria. Meanwhile, Turkey is engaged in an unwinnable war at home and is enslaved by domestic political pressures and President Erdoğan’s need to consolidate the nationalist vote before a potential referendum to expand his presidential powers. The PKK is also in a precarious position, trying to balance a de facto alliance with the West via the PYD while fighting a key NATO ally and engaging in acts of terrorism—such as the Ankara bombings in February and March 2016—inside Turkey. Additionally, the PKK’s urban warfare strategy is costing the HDP its hard-obtained legitimacy within the Turkish system, and these tactics remain highly unpopular among middle-class and westernized Kurds. A senior Kurdish figure speculated recently that the HDP was “likely hovering around the 10 percent national threshold” due to the PKK’s strategy of urban fighting. One way out for everyone would be the resumption of peace talks and a renewed process of reconciliation. This would ease the pressure on Washington, empower legitimately elected HDP representatives, make life easier for the PYD in its struggle with the Islamic State, and relieve Turkey of the burden of fighting a two-pronged war in two countries while simultaneously trying to contain the Islamic State. Unfortunately, there is no appetite for renewed talks in Ankara currently, and until there is clarity about a possible constitutional change and President Erdoğan’s position, it is unrealistic to expect a de-escalation on the Kurdish front. In fact, with no prospect of regime change in Syria and a physical Kurdish barrier taking shape on its southern border, Ankara feels more isolated than ever. There is a dangerous return to the paranoid mindset of the 1990s—pumped up by pro-government media, which describes Turkey as surrounded by enemies and infested with internal foes. Relations with the European Union, long a vehicle for reform, are now largely limited to the refugee issue, while disagreement over relations with the PYD has driven a wedge in Turkey’s trans-Atlantic ties with Washington. The sense of overconfidence that permeated Turkey’s political class during the Arab revolts in 2011 and 2012 has been replaced by feelings of powerlessness in the face of Kurdish expansion and perceived Western abandonment. Aslı Aydintaşbaş is an Istanbul-based journalist focusing on the Kurdish issue and domestic Turkish politics. She is currently a visiting fellow at the European Council on Foreign Relations. The Voices from Turkey series is part of “Turkey in Europe and the World—A Trilateral Initiative,” funded by Stiftung Mercator. The project is organized by the Center for American Progress (Washington), the Istanbul Policy Center (Istanbul), and the Istituto Affari Internazionali (Rome) and aims to outline a long-term prosperity vision for Turkey, explore its role in Europe and the trans-Atlantic relationship, assess the state of the republic and its institutions 100 after its foundation, and examine its position in the region and the world. The views and opinions expressed in this essay are those of Center for American Progress. The Center for American Progress produces independent research and policy ideas driven by solutions that we believe will create a more equitable and just world.